The swift progress in technologies has resulted in hundreds of online casinos coming into prominence, welcoming customers from a staggering number of jurisdictions. However, since the World Wide Web reaches a global audience and cannot be effectively monitored, there is not a unified piece of legislation to cover the legal status of online gambling around the world. There is a disparity in legal status, the forms of interactive gambling allowed, and the taxes imposed on turnover. Some of these discrepancies concern the legal status of making and accepting bets, others have to do with processing payments to online gambling operators, and openly promoting casino websites. In other words, what is legal in one region may be against the law in another. What further contributes to the complexity of the situation are the constant modifications some jurisdictions introduce to their online gambling legislation. The question many casino players are asking themselves is whether the legislation of their country of domicile allows them to legally engage in interactive gambling activities and put real money on stake over the internet. The following article aims at answering this question as well as at providing essential information in regard to pivotal regulatory authorities and the status of online gambling in key European jurisdictions. As far as interactive gambling is concerned, it is possible to distinguish between three main types of markets, the first one being the regulated market. In jurisdictions where online gambling is regulated, online casinos are not allowed to offer their products and services to the residents unless they have been issued a license from the respective country’s gambling regulatory body. 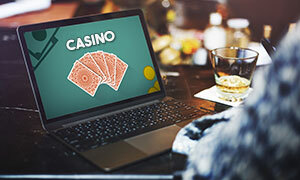 Often, the websites of casinos which do not hold a local license are blocked, which prevents players from accessing them and opening accounts. This course of action has a number of merits. To begin with, this works to the advantage of the local players because they have an authority (the one issuing the licenses) to protect them, someone they can turn to in case any issues with their payments or their casino accounts ensue. Then again, introducing adequate market regulations is beneficial for the country itself because it boosts its economy. The regulatory bodies are the ones to decide what taxation should be imposed on the licensees’ profits. Needless to say, these taxes bring additional revenue to the country’s treasury. This also helps create more job positions for the locals, in instances where the casino operator is required to open an office in the country. Last but not least, in countries where the markets are regulated, a greater stress is placed on gambling addiction prevention, intervention, and treatment which also works to the benefit of a certain group of players. This is the situation in the following regulated markets in Europe – the United Kingdom, Italy, Belgium, Spain, Denmark, Bulgaria, Portugal, and Romania. There are also unregulated markets where the local authorities have not expressed any stance whatsoever on online casinos’ legal status. No regulations are imposed, and no licenses are granted either, which is to say interactive gambling is neither legal, nor illegal. In other words, the legality of online casinos there is questionable. Such markets are sometimes referred to as “grey” and online gambling is not explicitly denounced as illegal there. 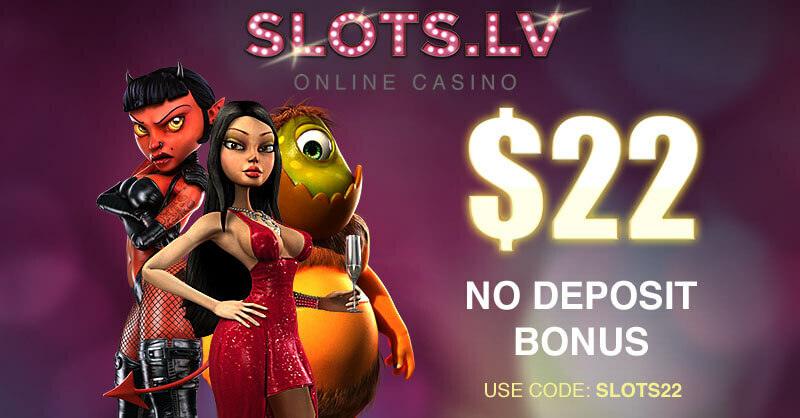 Some online casinos, operating from other jurisdictions where interactive gaming is legal, venture to offer their services to the local players without a license because there are no repercussions to worry about and their websites are not blocked, either. Unfortunately, in such cases there will be no one there to come to players’ aid and offer them protection. In addition, the jurisdiction collects nothing in taxes and the online casinos get to retain all profits they generate in the country. Finally, there are jurisdictions which fall into the black-market category. There are countries where online gambling is explicitly deemed illegal and licenses are not issued to local or foreign operators. In some countries like the USA, for example, financial institutions are instructed by the government to block payments to and from interactive gambling websites in an attempt to prevent local players from illegally partaking in such activities. However, both players and casino operators find loopholes in the legislation and some web-based casinos still accept registrations from countries where online gambling is explicitly declared illegal. This creates the perfect prerequisites for a thriving illegal economy. Some of the countries which fall into this category include France (where only online sports betting is legal), the USA (where only online poker is legal in specific states), Singapore, and Australia. As was mentioned in the beginning, the laws regarding the legality of online casinos may differ substantially from one jurisdiction to another. Moreover, many countries tend to introduce modifications in their gambling legislation every now and then so things tend to change over time. If players are unfamiliar with the legal situation in their country of residence, we offer them several brief overviews of the legal status of online casinos in some key European jurisdictions, the UK included. Players from this jurisdiction can breathe out a sigh of relief because online gambling is completely legal in the United Kingdom. The market is thoroughly regulated, following the introduction of a new set of amendments in gambling law, known as the Gambling, Licensing and Advertising Bill of 2014. This piece of legislation requires online casinos to obtain licenses from the local regulatory authority, known as the UK Gambling Commission, abbreviated as UKGC. The latter issues several types of licenses, including those for sports betting, gambling software, bingo, lotteries, and virtual casino games. 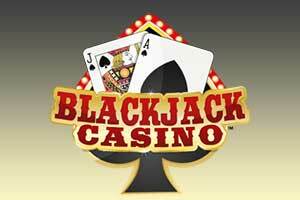 Each of these interactive gaming activities requires a separate license to be obtained by casino operators. 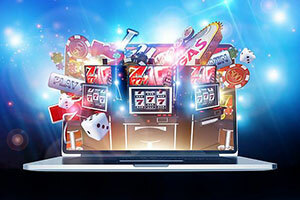 However, UK players who open real-money accounts at unlicensed online casinos are not persecuted by law, although the latter are prohibited from openly promoting their services and products to the locals. The local authorities have imposed a flat tax of 15% on the gross profits of the casino providers but players themselves are not required to pay taxes on the winnings they have accrued while gambling on the web. The legal situation regarding online gambling on the territory of Germany is far more complex than that in the UK. It all goes back to 2008, when interactive gambling became illegal in the country thanks to an interstate treaty. However, each state had the right to regulate gambling activities within its territory, so the state of Schleswig-Holstein left the treaty and introduced its own online gambling regulations. The year of 2012 saw the introduction of various amendments to the treaty. Schleswig-Holstein reconsidered its decision and opted in for signing the amended version. The state no longer issues licenses for online gambling activities but the operators which have already obtained one will be allowed to offer their services to German residents until the beginning of 2018. Online casinos can operate legally on the territory of Sweden on condition they have received a local license. In reality, there is a monopoly on the entire interactive gambling market in the country as there is only one state-owned company, Svenska Spel, which has so far been granted a license. As of 2006, Svenska Spel launched its interactive poker platform. Meanwhile, Swedish players are not persecuted for registering and betting on foreign gambling websites. The access to such online casinos is not restricted in any way, either. However, casino operators without licenses are not allowed to promote their services and products on the Swedish market and there were even instances of local newspapers being fined for publishing advertisements of unauthorised online casinos. Sweden is currently leaning towards opening its market to foreign gambling providers, following the pressure on behalf of the European Commission. The plans are to introduce taxes of 18% of the gross gaming revenue of all licensees and demand payment services providers to cease serving unlicensed gambling operators, which would effectively prevent Swedish players from processing transactions to unauthorised websites. The first licenses are expected to be issued in the first half of 2019, at the earliest. Norway has enforced some of the most stringent online gambling laws in Europe, which can largely be attributed to it not being a member state of the European Union and therefore, it cannot be subjected to pressure on behalf of the European Commission. Online gambling is legal within the country’s borders but the market has been heavily monopolised. There are only two legal gambling websites allowed to operate in the country and these are run by state-owned companies. Norsk Risktoto has been granted a license to legally offer betting on horse racing to Norwegian residents while Norsk Tipping is allowed to provide interactive lotteries, poker, keno games, scratch cards, and sports betting. The Norwegian Gaming Authority has gone as far as demanding banking institutions to cease processing payments to and from online casinos, based outside the country. In reality, the situation in Norway is not as dire as it originally appears to be. 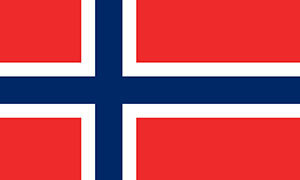 There are no known cases of Norwegian players being pursued by the authorities for betting on foreign websites. Moreover, there are various loopholes to bypass the ban on casino transactions, such as players using intermediary digital wallets like Skrill and Neteller. All forms of online gambling in Spain are legal and regulated by the General Directorate for the Regulation of Gambling Activities. The latter is also the one to issue licenses to foreign gambling operators, which need to first receive a general license and then another, specific license, depending on the type of casino games they intend to offer to local residents. At the present moment, operators can acquire licenses for offering poker, bingo, slots, table games like blackjack, baccarat and roulette, exchange betting, fixed-odds sports betting, and fixed-odds horse race betting. The majority of specific licenses are valid for a period of five years, with the exception of those for table games which expire within three years of issuing. Also, there are taxes of 25% on the gross revenue of the licensed online gaming providers. Online casinos can legally provide their services to Italian players as long as they have acquired a valid license from the local authorities. Interactive gambling activities within the country are overseen and controlled by the Autonomous Administration of the State Monopolies which is also the one to issue the licenses. One of the requirements licensees should meet is to be based in a country which is a member state of the European Union. The taxes operators are expected to pay depend on the type of gambling activity they provide. Italian players can legally engage in a variety of interactive gaming activities, including virtual casino games, online bingo, poker, lotteries, and sports betting. 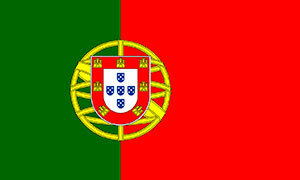 As of April 2015, online gambling is legal in Portugal, following the enforcement of the Decree-Law No.66/2015. 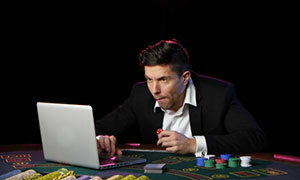 This brought the century-long prohibition on gambling in the country to an end, with online casino operators now being able to service Spanish residents under licenses, granted by the local regulatory authority, Serviço de Regulação e Inspeção de Jogos do Turismo de Portugal or shortly, SRIJ. Under Portuguese law, foreign operators with a local license are allowed to offer interactive bingo, table games, and tournament poker as well as fixed-odds betting on sports and horse racing. All licensees offering virtual casino games and poker are expected to comply with heavy taxes which amount to 30% of their annual revenue. 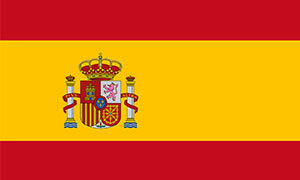 Many foreign gambling providers appear reluctant to apply for a Spanish license because of the burdensome taxes they are expected to comply with. 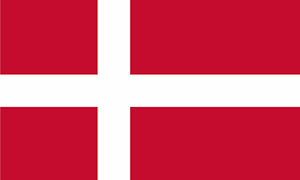 Following the enactment of the 2012 Gambling Act, online gambling is legal in Denmark as long as the companies offering such services have received local licenses and have contributed with a licensing fee. The fees are based on the type of license the operators have acquired. The forms of interactive gambling allowed in Denmark include virtual casino games, online poker, sports betting, bingo and online lotteries. Online casino activities are licensed and regulated by the local regulatory body, the Danish Gambling Authority or Spillemyndigheden. Interactive bingo and sports betting are subject of monopolisation on behalf of Danske Spil. Regulatory authorities are in fact federal governments which have enforced legislation that allows them to regulate and issue licenses for interactive gambling activities. Needless to say, one of the key incentives for such federal governments is to generate additional revenue as becomes evident by the fact some of the most popular regulatory bodies are indeed located in small countries where the natural resources are quite limited. The countries having the power to regulate and license online casino operations are frequently referred to as “licensing jurisdictions”. Each of these licensing jurisdictions is home to a big central organisation which grants the casino licenses and also oversees the operations of the licensees. 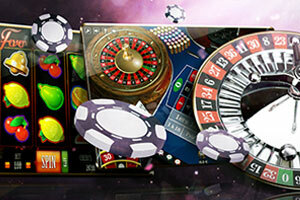 The licenses offered by each regulatory authority are valid within specific gambling markets only. 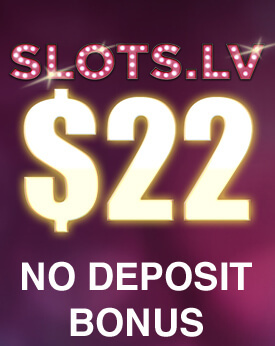 As a general rule, all applicants are required to go through rigorous security and background checks in order to ensure the fairness and randomness of their casino software. Applicants are also subjected to strict financial and tax audits. Another role of the regulatory bodies is to act as mediators whenever there are disputes between the online gambling operators and their players. Every licensing jurisdiction has outlined its own criteria that all applicants must meet in order to receive and maintain their licenses. Read on for brief overviews of five of the most respected regulatory bodies in the industry and the guidelines their licensees are expected to adhere to. 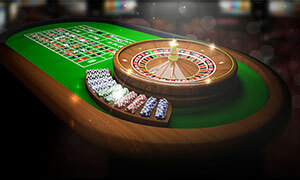 The UK Gambling Commission (UKGC) regulates online gambling in the UK under the Gambling Act of 2005 and is granted the right to issue licenses for a variety of interactive gambling activities, including virtual casino games, bingo, poker, sports betting, race betting, casino software, and lotteries. A separate license is issued for each type of online gambling service. 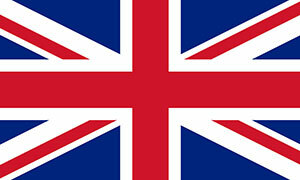 As of the fall of 2013, the UKGC is also responsible for overseeing and controlling the UK National Lottery. Apart from issuing the licenses themselves, the UKGC bears the responsibility for monitoring and regulating all its licensees. The Commission is also allowed to undertake regulatory and financial audits of its licensees any time it chooses to do so. 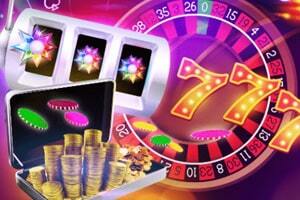 The operators are required to pay a flat tax of 15% on their overall gaming profits. The Isle of Man Gambling Supervision Commission was founded over half a century ago, in 1962, with the chief purpose of protecting the interest of casino players on the Island. As of 2001, the Commission has commenced issuing licenses for online casino operations and is among the most renowned regulatory authorities in the industry. 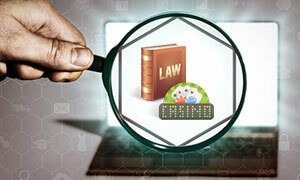 All casino providers applying for licenses from this regulatory body are required to undergo thorough tests to ensure the fairness and true randomness of the online casino software they are using. The latter is subject to exhaustive audits several times per year. The operators are also subjected to financial tests to guarantee their solvency – this is to eliminate the risk of such casino providers experiencing issues with payments to players. 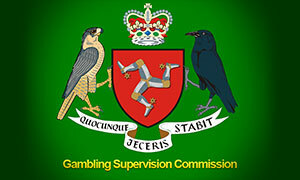 The Gambling Supervision Commission also deals with resolving any issues players may experience with the casinos, carrying an Isle of Man license. 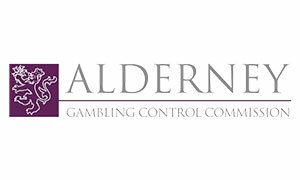 The Alderney Gambling Control Commission, or AGCC, is an independent gambling regulatory body which was founded in May 2000. The AGCC is among the strictest regulators in the industry, ensuring all its licensees adhere to the highest standards possible. The Commission is based in Alderney which is one of the self-governing British Channel Islands, highly regarded for being a leading finance centre. Online casinos which carry the seal of approval of the AGCC, are expected to undergo rigorous software testing on a regular basis and publish information regarding their games’ Return to Player percentages. In addition, Alderney licensees are required to set strict limits in regard to the maximum amounts their players are allowed to deposit into their online casino accounts. Should a player request an increase of the original deposit limit, the request may (or may not) be approved within a seven-day period. The AGCC has issued licenses to as many as thirty online gambling operators, all of which target predominantly the UK market. The Malta Gaming Authority (MGA) is based on the small Mediterranean island of Malta, which is part of the European Union and is located right next to Sicily. The MGA has been issuing online casino licenses since the year of 2000 and currently has a long list of over 300 licensees. There are four different types of MGA licenses gambling operators can potentially apply for. Class 1 licenses cover interactive casino games, games of chance, and games where the outcome is determined by a Random Number Generator. Class 2 licenses are related to online sports betting while Class 3 licenses cover advertising and promoting gambling activities. Meanwhile, Class 4 licenses are issued to companies that host remote gambling operations but are not operators themselves. Operators interested in acquiring a license from Malta need to pay an initial license fee as well as a 0.5% tax on their turnover. The MGA licenses are valid for a period of five years and need to be renewed once expired. 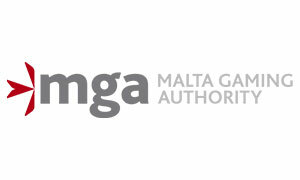 Online casinos carrying the seal of approval of the MGA are not allowed to accept registrations from players, based in Malta. Gibraltar is a small self-governing dependency of Great Britain and has been issuing gambling licenses since 1998. Presently, there are over 200 online gambling websites which have obtained the approval of the Gibraltar Gambling Commission. This jurisdiction is highly regarded for licensing only operators with proven track records. Before a license is granted to any given applicant, the latter is required to pass successfully a number of thorough software tests. Many online casino providers apply for a Gibraltar license because this territory is not subject to the burdensome UK tax laws. Acquiring a license from this jurisdiction is significantly more cost-effective for applicants, with gaming taxes set to 1% of the operators’ overall turnover. 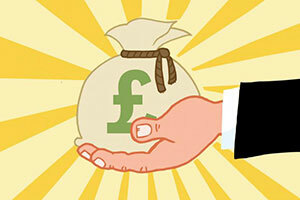 The tax amounts are capped at a minimum of £85,000 while the upper limit stands at £425,000. 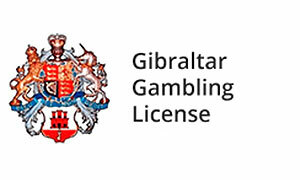 A Gibraltar license covers all types of online gambling activities and expires within a period of one year. Another benefit of applying for a Gibraltar license stems from the lack of Value Added Taxes, or VAT, in this jurisdiction. When licensed online casinos assure their players the games on offer are entirely fair and random, they have the necessary audit information to back their claims up. 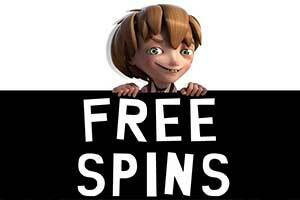 All respected online casino operators reference the independent testing agencies which have conducted the audits on the available gaming collections. If the portfolio passes the tests for fairness, the gambling operator receives a certification for randomness to publish on the homepage of its website. 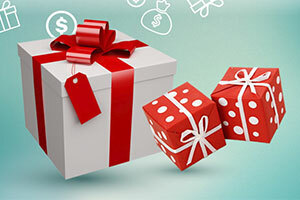 Moreover, there are many online casino operators which prefer to further transparency by offering extensive lists comprising the theoretical player return percentages of all available games. Some of the most highly-esteemed independent software auditors in the world, such as eCOGRA, are actually based in the United Kingdom. Other notable third-party testing agencies include iTech Labs, Technical Systems Testing (TST), Gaming Laboratories International (GLI), and Gaming Associates (GA). Those, who register at an online casino which undergoes audits by one of these testing facilities, can rest safe in the knowledge the games they invest their funds in are up to par with the highest standards of fairness.